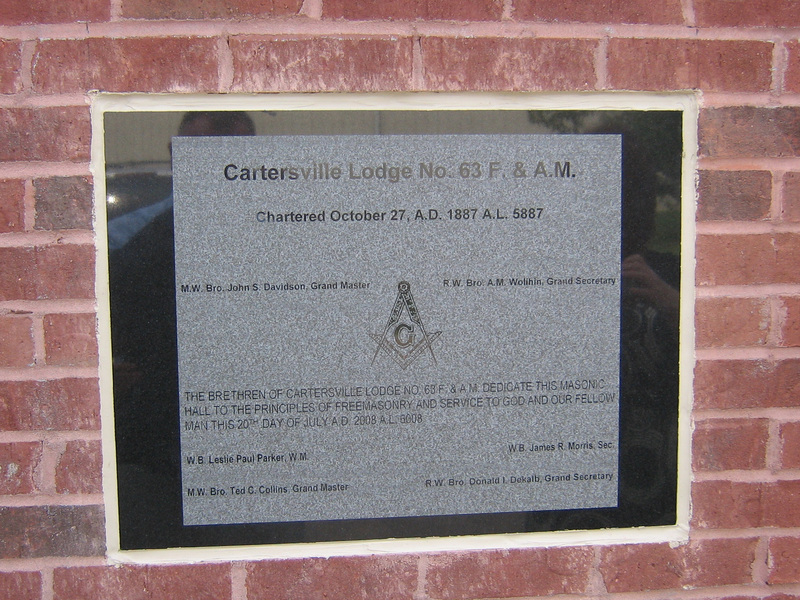 In 1895, John W. Akin of Cartersville, published is "Akin's Lodge Manual and Masonic Law Digest which was then adopted as the official manual of the state. A Masonic code was published in 1902, but Akin's manual was retained as the book of lectures. The Manual was distributed by the "Masonic Herald " in Rome. Grand Master Charles Bass, in 1920, requested Robert J. Travis, PGM, to make five honorary presentations on behalf of the Grand Lodge. 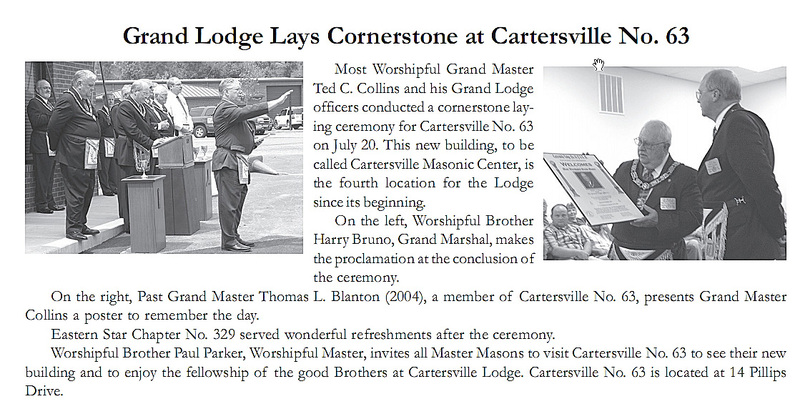 Brother Travis then addressed the Grand Lodge. "It is the duty of every Mason to labor without weariness and without hope of any reward. This is his obligation and his duty. However, we all like to know that our labors have been appreciated, and when the appreciation is expressed it serves as an encouragement to labor on. The medals were limited to five recipients each year. Several years no medals were presented, and in some years less than five. In 1926 only one was given, it going to Brother William Clarke, author of "Early and Historic Freemasonry in Georgia." The Grand Master felt that Brother Clarke should be the sole recipient that year due to his very outstanding achievement of compiling and writing the history.